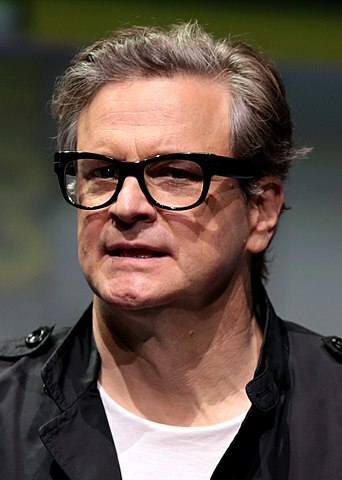 Colin Firth was born in Grayshott, United Kingdom, on September 10, 1960, is an English actor. Young Colin Firth began his acting career on the stage and he made his professional stage debut in play Another Country (1983) in role as Guy Bennett. He made his big screen debut in fantasy romantic comedy movie Splash (1984) in role as Man in Elevator. Colin's breakthrough performance came as Mr Fitzwilliam Darcy in six episode British television drama Pride and Prejudice (1995). He won the Academy Award for Best Actor for his role as King George VI in drama history film The King's Speech (2010). He was nominated for an Academy Award for Best Actor and won a BAFTA Award for his role as George Falconer in drama film A Single Man (2009). He was awarded a Star on the Hollywood Walk of Fame at 6714 Hollywood Boulevard in 2011. Good friends with actresses Emily Blunt and Julianne Moore. He was in a relationship with actresses Meg Tilly (1989-1994), they had a son. He dated Jennifer Ehle (1994-1995). He married Italian film producer and director Livia Giuggioli in 1997, they have two sons. He is a supporter of Survival International and Refugee Council. His movies have grossed over $3 billion worldwide. Lives in Chiswick, London and Umbria, Italy. One of the things that makes you want to be an actor, speaking only for myself, is that there's something infantile about it. You're suspending disbelief, pretending and entering into a story world. I have a kind of neutrality, physically, which has helped me. I have a face that can be made to look a lot better or a lot worse, depending on how I want it to look.